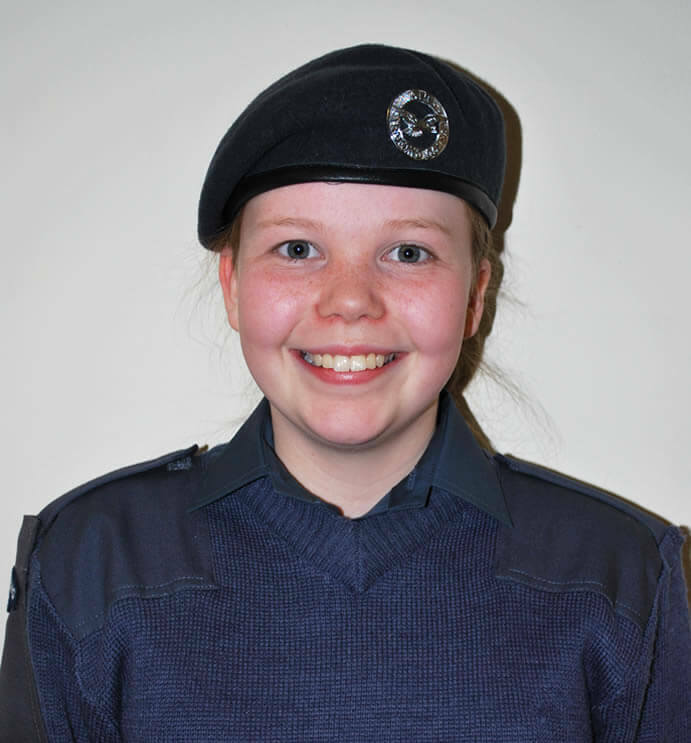 Congratulations to Cadet A. Leeper for being one of the cadets nominated by the Cadet Non-Commissioned Officers and for being chosen as the Cadet of the Month by Cadet Warrant Officer R. Phillips, Cadet Flight Sergeant L. Pritchard and Cadet Flight Sergeant C. Weetman. Cadet Leeper has been chosen due to her positive attitude and her increased involvement, confidence and social interaction with squadron activities. Cadet Leeper has been continually improving her uniform – particularly her shoes – in preparation for our recent Annual Formal Inspection and is consistently putting herself forward for events, which has been presented through her increased attendance.